This booklet aims to help you understand more about self-harm and what to do if you are worried about yourself or someone else. It explains what self-harm is, what to do if you or someone you know is self-harming, and how to get help. Self-harm is very common and affects more people than you think. 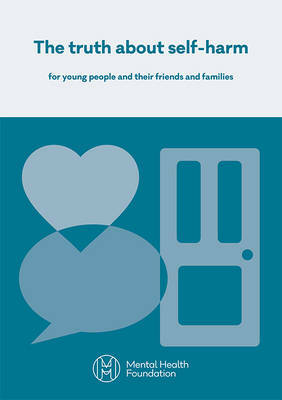 All of the information in the booklet is based on the findings of the National Inquiry into Self-harm among young people. The inquiry was carried out by two charities, The Mental Health Foundation and The Camelot Foundation. The inquiry panel heard evidence from many hundreds of people including young people who self-harm, or have self-harmed in the past, and those who work with or care about them. This booklet is based on what they said. The booklet was developed by Celia Richardson, Kristen Morgan and Claire Walsh.